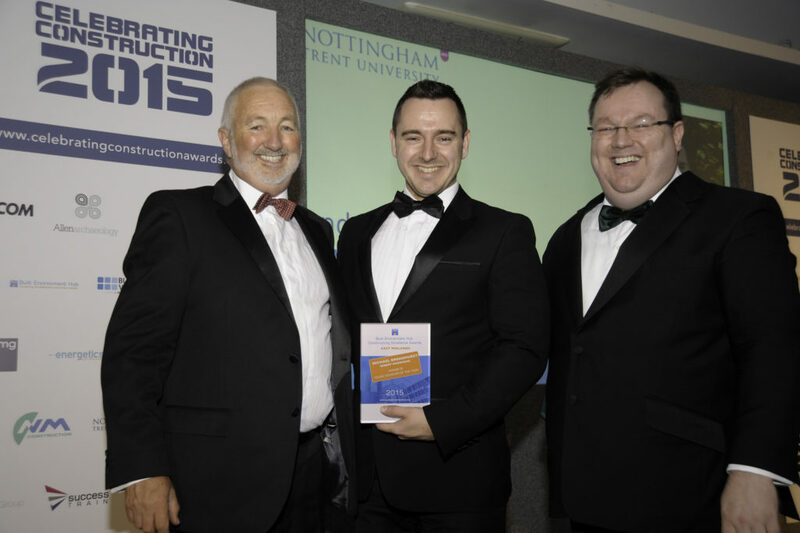 Woodhead Living Project Coordinator, Michael Broadhurst, is celebrating this week after scooping the title of Young Achiever of the Year at this year’s Constructing Excellence Awards. The 26-year-old has been working for construction company, Robert Woodhead Ltd, since he joined the firm for a year’s placement as part of his university degree. “I haven’t looked back since Woodhead gave me that first opportunity,” said Michael, of Stenson Fields in Derby. “After securing my year’s placement with the company during my building surveying degree at Sheffield Hallam, I progressed well and Woodhead gave me the opportunity to come to work with the team four days a week, while completing the remainder of my degree course. “Ever since starting I’ve been supported tremendously, not just by the Living team I work in, but by the company as a whole, both financially and through the positive culture which comes part and parcel with the organisation. He has since begun work on 20 new bungalows for the City of Lincoln Council’s Birchwood scheme, as well as 22 new homes for South Derbyshire District Council. Michael was also responsible for the Code for Sustainable Homes (CfSH) assessments on the multi award winning Cross Street Scheme. Michael gained his CfSH assessor qualification through Woodhead. It was Woodhead’s night at the Celebrating Construction Excellence Awards, taking three further awards for its multi-million pound Lincoln Castle Revealed project. Craig Pygall, Construction Director at Robert Woodhead Ltd, said: “The Woodhead team did very well at this year’s Constructing Excellence Awards, and we’re incredibly proud of everyone’s achievements.